A major reason why Lysimachus is not remembered as well as the other successor generals/kings, such as Ptolemy or Seleucus, is because his Kingdom of Thrace was not as enduring; but he was still one of the most influential men in the Hellenistic Period. Lysimachus was one of Alexander’s bodyguards and most loyal generals, who requited himself quite well on the battlefield in Asia. 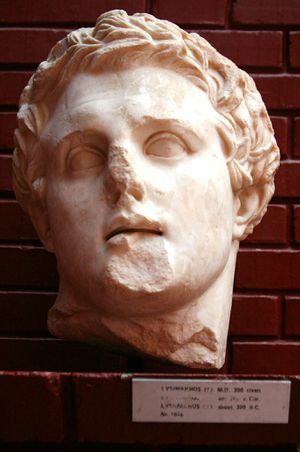 After Alexander died, Lysimachus became one of the original Diadochi and played a major role in the creation of the new political order and fought in all of the Diadochi Wars. 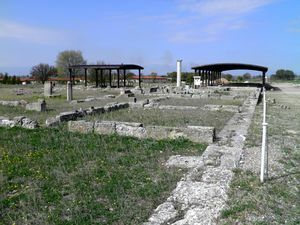 As the Diadochi Wars raged across the Mediterranean region, Lysimachus established himself as a diplomat and statesman as the king of Thrace, making peace with certain kingdoms while going to war with others. Lysimachus spent his later life fighting against Demetrius, Pyrrhus of Epirus, and his one-time ally Seleucus. The king of Thrace was able to defeat Pyrrhus and his expand his territory in 285 BC partially through guile, which was a respected trait among the ancient Greeks and Macedonians. Lysimachus may not known by many people today, but an examination of his life reveals that he played an incredibly important role in the Hellenistic Period. Beginning his military career as one of Alexander the Great’s trusted bodyguards and most competent generals, Lysimachus earned enough respect among his peers to earn a spot at the table when the Diadochi divided up the spoils of Alexander’s conquests. Lysimachus then went on to become the king of Thrace and played a major role in the Diadochi wars before he finally died bravely in battle, as was befitting a true Hellenistic king.